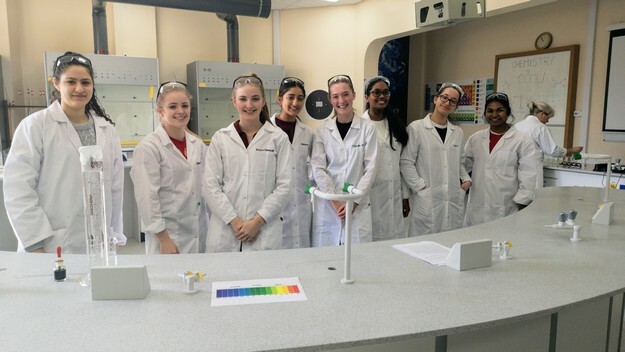 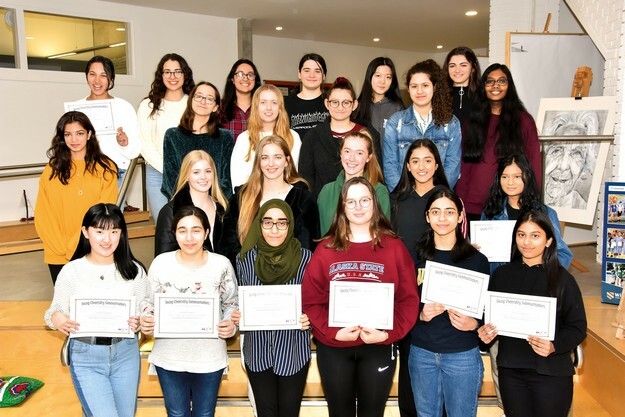 This year’s Young Chemistry Communicator project was launched in January and attended by 23 Withington Year 12 girls. 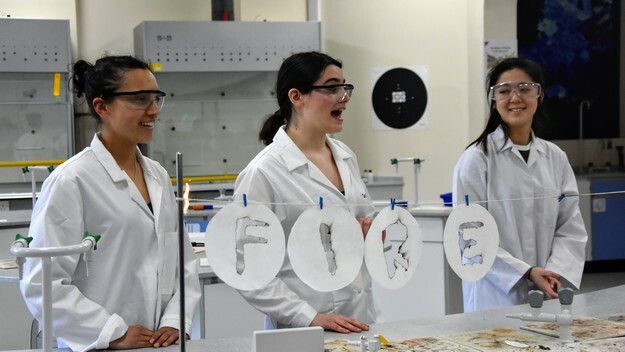 This national scheme, from which a Gold CREST award can be earned, encourages Chemistry enthusiasts to develop their science communication skills by working in teams to present a Chemistry-based workshop or show to an audience of their choice. 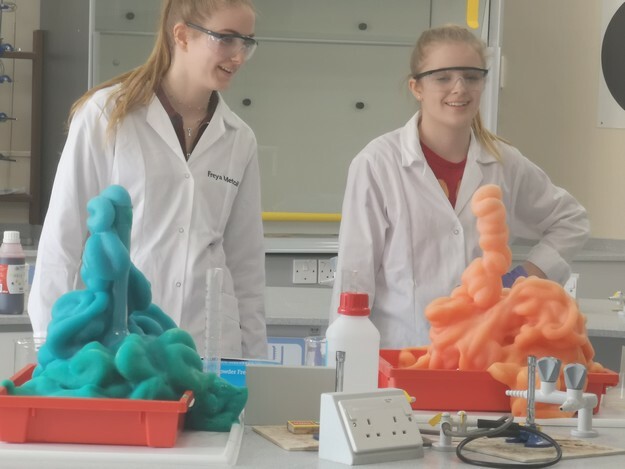 The launch workshop was run by two members of staff from Techniquest Glyndwr, a Science discovery centre in North Wales, who, after some fun ice breakers gave a presentation about how to develop public speaking skills and communicate science, tailored to a specific audience. 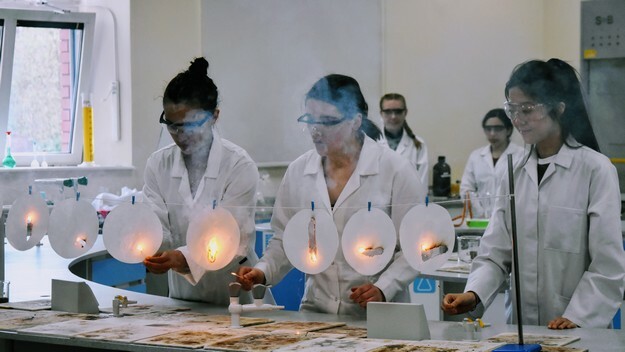 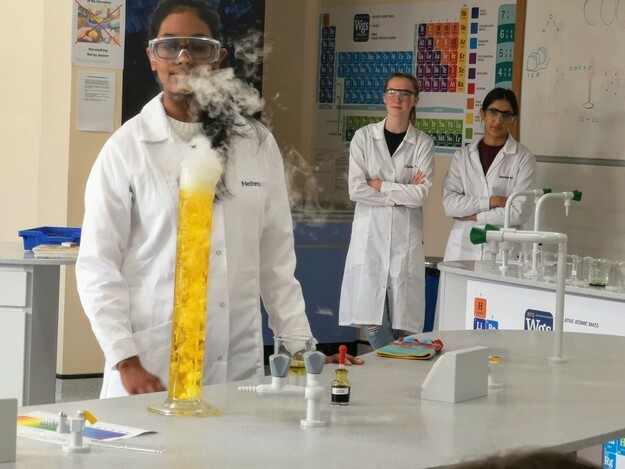 Later, there was an exciting demonstration showing how to create a ‘flash bang’ show; a compilation of visually stimulating and entertaining Chemistry experiments. 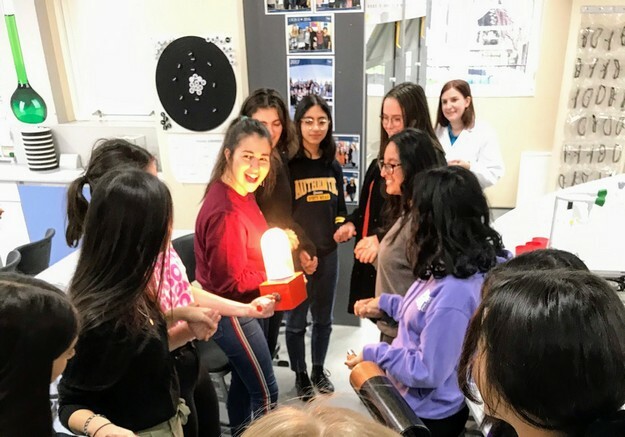 After much preparation the teams were ready to present their shows! 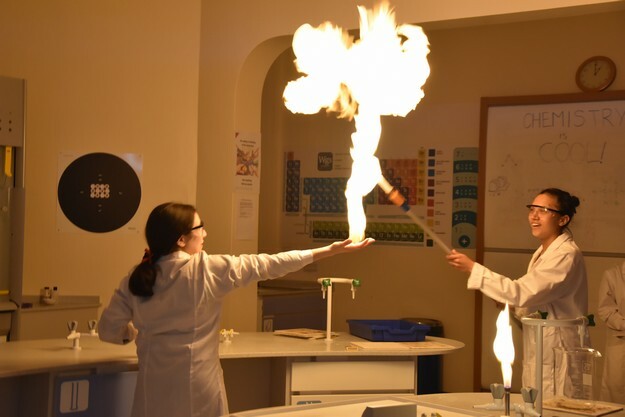 Every team performed an exciting Chemistry show with much audience interaction and cheering! 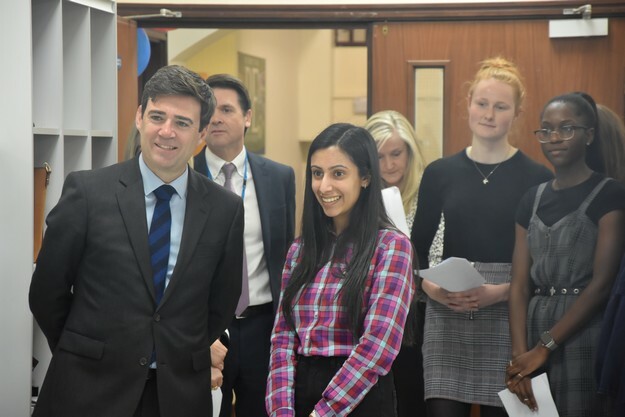 The first show, entitled DyNAmITe, was for Withington Year 6 pupils, the second, entitled Fire and Ice, was for Year 6 pupils from Northenden Community School and Andy Burnham, the Mayor of Greater Manchester, dropped in as well! 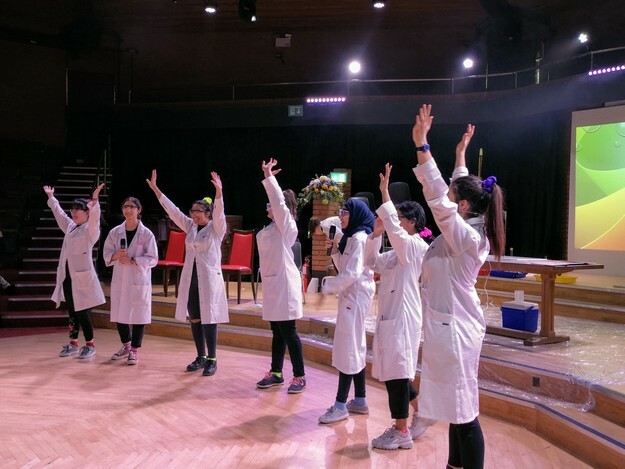 The third show, entitled Technicolour, was performed in the Arts Centre for a very noisy and appreciative audience of Year 5 and 6 pupils from Mauldeth Road Primary School and the whole of the WGS Junior School. 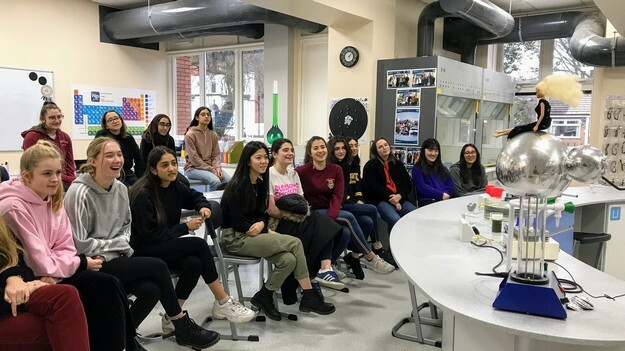 The project has the triple benefit of earning the girls a Gold Crest Award, developing their confidence and presentation skills and also enthusing new young audiences about Chemistry.